The C-Bus 5754PE is a new surface mounted Light Level Sensor / Detector that allows bank switching of lights or activation of C-Bus scenes etc based on the Light Level set point. The unit is very versatile allowing C-Bus control or tracking of light level targets, light level margin, high and low lux levels and high and low light thresholds. Setting and maintaining a particular augmented light level automatically in an area has never been easier. 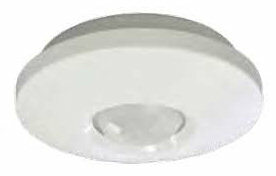 Low Profile surface mount, suitable for indoor use only and powered from C-Bus.